I can keep my secret where, And hint of riches new and old. Solve: Warm waters halt disease. Location: “10,000 Waves” Spa Resort – Hot water Spa at 3451 Hyde Park Road, Santa Fe. Note: This spa has been there for 30 years using the traditional Japanese Hot water therapy. Note: You enter the canyon “down” before Hyde Park road ascends. Solve: In spanish “Home” is “Casa” and “Brown” is “Cafe”. Location: Take the Winsor trailhead (#254) below the “Casa Café” at Ski Santa Fe Mountain, off of the parking lot. Head towards the Borrego (#150) / Bear Wallows (#182) trail loop via Winsor Trail (#254). Note: The trailhead is 10200 feet. Fenn, as per Dal, has said the treasure is specifically below 10,200 feet. Solve: “Borrego” is Portuguese for a gentle or meek person. Location: Investigate the shallow creeks along and off Bear Wallows and possibly Winsor trail. Head “up” creek. Solve: You “bear” heavy loads and a ship “wallows” or rolls from side to side in water high as per Oxford Dictionary. Location: Search Bear Wallows Trail (#182) for the blaze, most likely located up a side creek. Instruction: Look for a possibly “white” marked boulder 200+ feet up a side creek. Note: Fenn says seekers have been within 200 feet of the treasure and describes, in triplicate, blazes as being “white”. 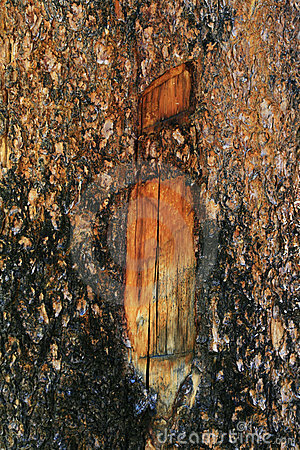 Note: The chest is not buried but most likely covered or hidden in a hollow tree, root hollow, or rock crevice and it is “wet” as per Fenn, signifying it may be placed right in a shallow creek. Bear Wallows Trail (#182) and Borrego (#150) are accessible from a small parking area, half way up Ski Basin Road #475. This entry was posted in Armchair Adventures and tagged Forrest Fenn, Morrison James Tayn, new mexico, Poem, Santa Fe Ski Area, thrill of the chase, Treasure by dal. Bookmark the permalink. Anyways, now that I actually read the post, I find it interesting. Thanks for sharing, Morrison! I like the large quantity of language translation used in this solve and how so many specific geographic names in close proximity fit together with respect to the poem. I’m not convinced enough to run out the door and search this area, but I could be wrong. Your description of the hidey space for the chest under part 9 is very much in my line of thinking too. I don’t think there are any hints that specifically indicate the nature of the hidey spot (other than Forrest’s reluctance to say whether or not the chest is buried), so maybe it’s just a wild jump to a seemingly logical conclusion on my part. One specific question: Regarding item #8: Can you remember where Forrest mentions blazes being white? I can’t recall reading that anywhere. A couple years ago when Nick Lazaradus (sp) from Dateline was doing his interview with Forrest I happened to be in the room with them. Nick asked the question, something to the effect, “What is a blaze?”. Forrest responded by giving examples of what a blaze might be. He mentioned a white mark on a horses head and a few other examples. It seemed to me that he mentioned “white” several times. This stuck with me and I was rolling it around in my brain. When I get home it’s all over Chasechat that Dal said that Forrest said the blaze is white…YIKES!!! Thanks for the clarification, dal. I’m trying to keep an open mind about the nature of the blaze in general, since I think there are too many possibilities about what form it can take, and too many possible hints from Forrest as to what it could be. I’m just hoping to follow the directions and look for something that stands out. But, like I said, I’m trying to keep an open mind and will just be looking for something that stands out. when searching for the blaze. I guess the blaze could be white in winter when covered in snow? Thanks, Morrison, for sharing your ideas. It’s a beautiful area especially in the fall. Is the spot where you think Fenn hid the treasure chest 8.25 miles north of the NORTHERN LIMITS of Santa Fe? I think I stopped researching and hiking this area after ff came out with his Fundamental Guidelines last year when Randy went missing. I could be wrong about the distance. I like your interpretation of ff’s poem and your solves, though. I have the same question as Cynthia regarding the distance North of Sana Fe. Good luck in your search. I’ve done it tired and now I’m weak. Really weak. So I tried to walk along the Big Tesuque creek from the access near Tesuque. I made it to the trail head and sat down on the little bridge. I could hear somebody else coming up the creek with their dog. I decided that if it was there then they should find it. I gathered my strength and headed back down the trail. Going down the Borrego trail I had the same issues. But it was a pleasant walk. It’s a good place to search during the Fennboree. Hi Iron, if you really like to pan you need to drive out to Calif. central Sierra’s. My brother found 5 nuggets, each approx 1/2 ” long, 1/8th ” thick out of one rock. Lots of gold if you don’t mind working for it. Happy hunting. Well that definitely loops you around back to where you began! Sounds like a great search! I still think it’s a waterfall that he is talking about. Be cool to see someone find this. 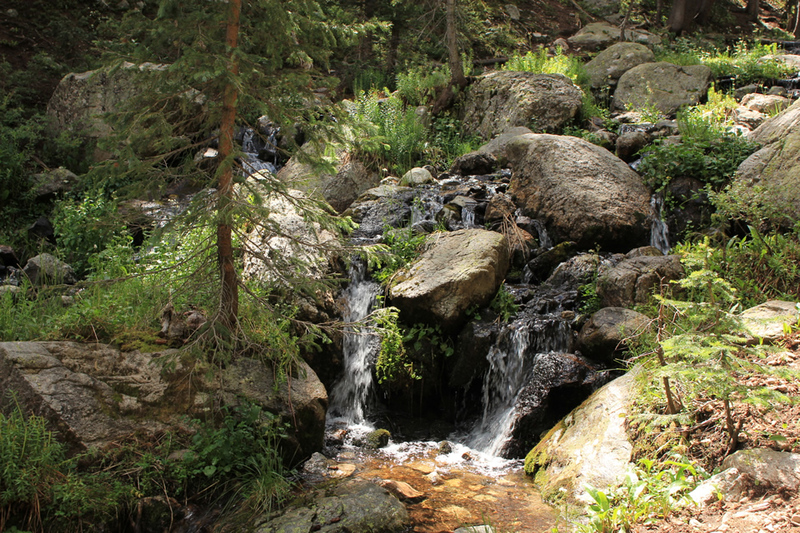 I agree about there being a waterfall…there’s Tesuque Falls and Little Chasm Falls in this area. The parking in the tiny community of Rio de Media to reach Little Chasm Falls is horrible, though. Spots for 2 or 3 vehicles and everything else says Private property and they will tow your car. Let’s hope ff hid the chest somewhere more accessible friendly. Cynthia, I would like to pass some info your way if you will email me at mcmulgl at yahoo dot com if you are interested. You find all the clues in every state including the other 48. Jake, you got that right,man! I just want to know when the Major is going to lift the banned! Oh course Mr.fenn has no control over Father’s nature. But he did lift the banned Martha. No one has control over this ball floating in space. Maybe Mother Nature & Father Wise are just that. Thank you Jake, maybe go in like Thor, and make sure not to forget the Hammer! Well, Thor’s part of the equation, in the book anyway. Not the one in Oregon although beautiful but dangerous. I will not need a hammer but a hammer may have been used at some time. I really enjoyed this solve. It’s one of the few that I actually understood. Perhaps it was the way it was laid out. Interesting solve Morrison. Have you had a chance to do a BOTG search to test your theories? Would it take an afternoons off find your spot twice. If FF hid the tc in this location does it fit with it not being a designated trail? And from the parking lot how long to walk to your spot. It’s a very creative solve and thanks for sharing. I really enjoyed your interpretation of the poem! Interesting indeed! That is some of the most beautiful country in New Mexico! Great solve. Be safe Good Luck and enjoy the journey. Winsor Trail – Is that an ‘F’ on the upper left rock? (Second try.) It looks like one to me. also mid point on the left side of the picture is a rectangular flat shape that is probably the exact size of the box. According to my calculations, Cuyamungue is 8.25 miles north of the northern city limits of Santa Fe. Tesuque, Windsor Trail, Santa Fe Ski area, Hyde Park etc are all south of Cuyamungue, therefor not within the search area. This is based on the map that Desertphile so kindly provided awhile back. I’m open to revisions in my thinking! Morrison,I enjoyed your solve thanks for sharing. You put alot of thought and research into it. Great translations..
Good luck in your search and stay safe. Has anyone looked at the denver international airport murals as a solution or method to deciphering the poem. Too much conspiracy theory… not going there. Please elaborate! It’s too much of a fly by night postulation in my opinion. Someone had that idea once but it never really took off. It was a flight plan but one of severall with lofty ambitions. That’s a great graphic on the Google map. Can you tell me how to draw the lines and maybe add pointers and text? Plus, how do you get the darn thing copied onto your post? Speak slowly–we’re talking tech for dummies. Is little chasm falls more than 8.25 north of santa fe? If you’re a crow, NO, but if you have to walk or drive, YES. Thanks Fennatical! Very well said, greatly appreciated. If you go by latitude, the latitude of Little Chasm Falls is not 8.25 miles north of the latitude of the northern limit of Santa Fe. The reason I use latitude is due to Fenn’s answer to the Australian guy who Dal posted a link to his video several years ago. This link has been alluded to recently but I don’t know on what thread. The gist of FF’s answer what does he consider “north” of SF referred to latitude. If you have a solve there and the twisty road makes you drive 8.25 miles north of the northern limit of SF, I say go for it. good luck. Clayton and Capulin, a long with a few other unique places in the County likely on the list. Time will tell…. It always does. Unfortunately, Union County, New Mexico is “out of bounds”, according to the map from TFTW. I was researching that area for WWWH according to the NM Game and Fish definition of “warm waters”, but soon realized it was outside of the highlighted area of the map. trail. This is one reason that I don’t believe that your solve is correct. But thanks for sharing it. years that the Casa Cafe will still be there, with the same name? Good luck in re-thinking the poem for a better solve. Please emphasize safety in the Rockies. He actually said “…in very close proximity to any human trail” whatever that means. What is “very close proximity” and what exactly is a “human trail”? Does it include old logging roads made by trucks, bulldozers, etc… or only those hiking trails made by humans walking? This is just another statement by FF that provides no useful information. Seems straight forward to me. I enjoy looking in this area and of course the nameTesuque and many other things about Hyde Park and the Santa Fe ski area fit in with Forrest’s family interests. I just watched an episode of Expedition Unknown regarding the Fenn treasure and caught the bug. The host of the show is Josh Gates who has a degree in archaeology and an impressive guy who appears to have good instincts. During this episode, Gates mentions that “Fenn told me that his wife hadn’t realized when exactly he had hidden the treasure, that tells me the hiding place has to be close enough to his home that he could travel there and return without suspicion”. Those are Gates words verbatim, I recorded this episode. This episode featured three possible location, Yellowstone, Red River NM, and the Taos area which made the most sense to me. I have been reading all types of opinions online regarding the Taos area and scouring google earth. Based on a myriad of information coupled with my interpretation of the poem, I am considering a solo trip. I have an area that I feel is worth searching, I just need to retrieve my metal detectors from Southern California as I know live in Houston. I’d rather search a condensed area “lawnmower” style than a large area. Any thoughts on the Gates comment? Long before the Expedition Unknown piece Forrest told us that his wife, Peggy had no idea when the treasure chest disappeared from Forrest’s vault. In fact Forrest has described in detail the ritual he used to mask the removal of the chest from its place in his home to its present location. There is no question that the Expedition Unknown remark you quote is accurate. However, your interpretation shows a level of naivety about Forrest, his lifestyle, his history, his associations and his free ranging habits that would be wise for you to investigate. You are not the first to indulge in the “close proximity” solution for all the reasons you stated. Spending time reading about, listening to and figuring out Forrest, will aid in your search. The materials on this blog are certainly a satisfactory place to begin your pursuit of knowledge. In particular, watch the videos of Forrest, read his TTOTC book and then read his other writings including his email responses and scrapbooks. Take a look at his Fundamental Guidelines and Goofy’s Cheat Sheet. Additionally you might avoid a pitfall or two by reading the stories of other searchers on this blog who have told of their searches. And don’t forget to read what Forrest has written on other blogs…in particular on Jenny Kile’s Mysterious Writings. I have yet to see anybody come up with the BIG IDEA that I have about the solve ….so close but so far I feel…..begin it all with a reel…….thanks again Dal would love to exchange emails….maybe meet up …..if I ever find Indulgence I am going to give you a couple articles from the chest you have earned it with your information you have shared…. Dal, my interpretation of Gates comment was simply a possible Freudian slip from Forrest, the best of us have made them and can’t be ruled out. Of course I am naive about Forrest, I have never met the man or read his books. Thanks for your feedback, I am just getting started as I mentioned in my original post. Just started reading some of Jenny Kiles site and a comment from FF stood out to me. He said, “I would advise new searchers to look for the clues in my poem and try to marry them to a place on a map”. I am a new searcher and that screams “river” to me, not a creek. Just my quick opinion. What connection do you see between marry and river? Thanks JDA, my biggest concern our rattlesnakes, I haven’t had a chance to look into whether or not they exist between 5-7K elevation, I am guessing they do. Yes they do and they are out and feisty says Sandy B.
Strawshadow is correct. Just saw my first Rattler of the year in New Mexico last week. None too happy at being disturbed. I have seen rattlesnakes at elevations as high as 8200′ in the Rockies. I think that with climate change you need to drop preconceived notions of flora and fauna habitat, weather patterns, etc. Expect tbe unexpected. My friends nicknamed me snakejumper for good reason, lol. But I like snakecharmer better. Bring a hiking pole…and a healthy dose of respect for the natural world. Yes, here’s my thoughts. Gates’ episode included the three most conventional locations that have been explored via media videos. These locations are so conventional they seem stale and trite to me. You said you liked the Taos area (of those three) and planned to do some searching. But FF also said that searchers need to use their imagination. None of these three areas require any great imagination for a search. It’s been some 6 years and the chest has not been found. All three of those general areas have been so scoured, so talked about, so scrutinized, one would think people would get the message. But apparently not. Videos, and the national media, are powerful tools that easily manipulate peoples’ thinking, I guess. Still, it’s possible, though not likely in my opinion, that searchers could have overlooked some tiny spot in one of those three areas, including the Taos area. So best of luck in your search. Reklim, It’s my opinion that sometimes things are as obvious as they appear and we as human beings have a tendency to overthink, including myself. The comment by FF regarding new searchers and marrying the poem to the map was possibly one of FF easiest clues. We are talking about a search grid of four states, it’s not like FF said X marks the spot. In my novice early opinion, this mystery revolves around the “home of Brown”. I believe if you nail that, then you follow the rest of the clues. A river full of brown trout is way to vague, I believe the home of Brown has a longitude, latitude and altitude. Once again, just my opinion. Thanks for the reply, your answer sounds very logical to me. I have thought for quite a while that solving home of Brown is the best way to figuring out this poem. So I agree with your approach, and yes vague is the poem theme, I’m still trying to nail home of Brown myself. Good luck to you. Thanks Ken, I am guessing that the majority of searchers are searching just off the beaten path & FF has mentioned that there isn’t a human trail in very close proximity to the prize. My strategy would be to take FF’s advise and move with confidence and do a “lawnmower” grid search in a concentrated area. I grew up fishing the San Gabriel Mountains in Southern California and if I was going to bury a treasure, I would certainly pick out one of my favorite holes, just saying. Afterthought. Ken, you mentioned that the Taos area seems scoured, stale and trite to you and new imagination is required in order to locate the treasure. FF has mentioned that searchers have been within 200 feet of the treasure. It’s pretty clear that those stale locations haven’t fully been explored. Happy hunting.